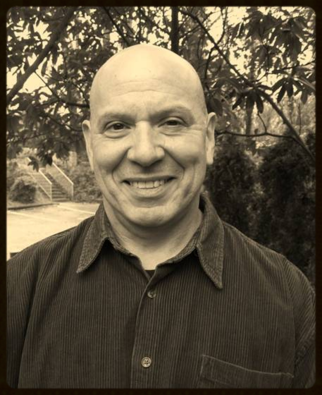 Randy Niederman, Ph.D., M.S.W., has taught social work at the University of Georgia, Western New Mexico University, and Barry University (FL). His Ph.D. dissertation was a research study entitled, “The Conceptualization of a Model of Spirituality.” His Ph.D. is from the University of Georgia, and his Masters in Social Work is from Florida International University. Dr. Niederman has worked in the capacity of a psychiatric social worker at a psychiatric crisis unit and hospital emergency rooms. He has practiced Eastern disciplines for most of his life. His mother was a Yoga teacher and he has been practicing Yoga since childhood. He has a second degree black belt in Aikido and has been a long time practitioner of Tai Chi, Filipino martial arts, and Kendo. He has also been affiliated with Zen groups in South Florida and New Mexico. Dr. Niederman has an Associates in Arts in Radio Television Broadcast Technology from Miami Dade Community College. He spent his early adulthood working as an entertainment news camera operator, and asst. engineer/asst. promotions manger at an FM/AM radio station in Florida. He is also a certified massage therapist and has worked as a massage therapy instructor. His parents moved from Long Island, NY to El Salvador, Central America when he was 11 years old. After two years at the American School in El Salvador he began attending boarding schools in the US. He completed 8th and 9th grade at Florida Air Academy in Fort Lauderdale, FL. He finished his last three years of high school at Orme School, a college prep, coed ranch boarding school isolated in the high desert of Arizona. Currently Dr.Niederman works as an emergency room psychiatric social worker in Athens, Georgia. He is a student at the East Georgia Kendo Club.